Cold Hollow Sculpture Park is in Vermont at 4280 Boston Post Road near the village of Enosburg Falls. It is not far from Burlington and Montreal. Please refer to Google Maps for specific directions. 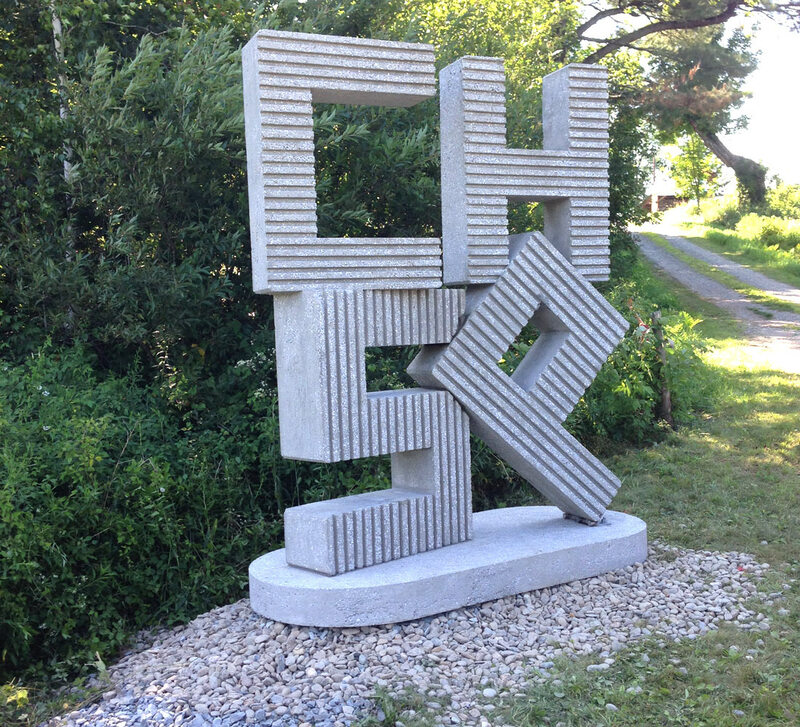 Approaching on the Boston Post Road, from north or south, the new CHSP concrete sculpture on the west side of the road indicates the entrance. Download a PDF map of the park. There is no admission charge. Guests assume all risk. Cold Hollow's meadows provide feed for our neighbor's cows; the hay grows and is cut, usually twice a season. Foot paths are always mowed but the hay through which they wind might be high or being cut. Sturdy walking shoe are advised. For visitors of limited mobility: much can be seen from our on-property road. Please call for additional information. Kindly note that as the studio is an active fabrication facility, it is not open to visitors. We ask that children be supervised so they and the artworks are not endangered. Please respect painted surfaces and absolutely no climbing on the sculptures. You are welcome to picnic and relax. We kindly ask that you pack out what you pack in. Dogs - please leave Fido at home for everyone's safety and enjoyment. Water, bathroom facilities, and printed guides are available at the welcome barn. There are also many local amenities you might enjoy when visiting. Please browse our selection of links to lodging, food, and other art in the vicinity of Cold Hollow Sculpture Park.